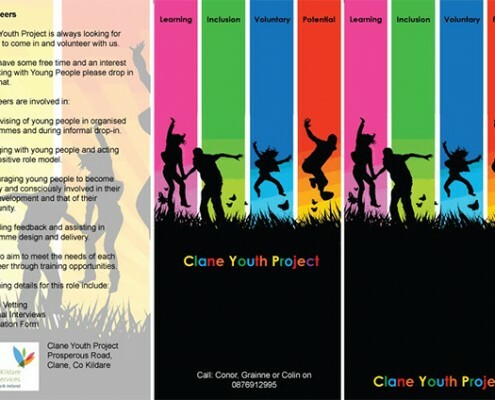 Clane Youth Project is a community based project that provides a range of development and learning opportunities and services for young people in Clane. They are provided for and with young people, their families and communities to be responsive to their changing needs. 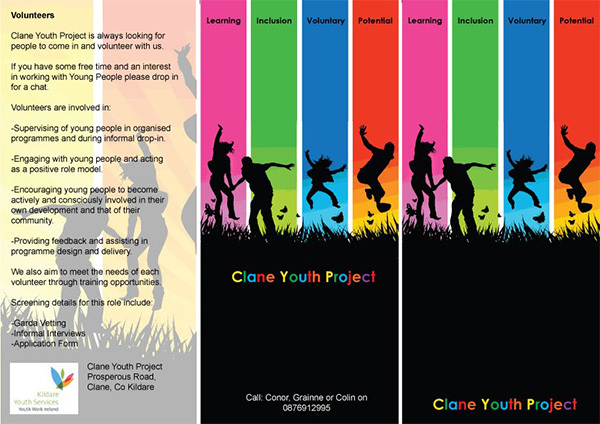 We use a Youth Work approach working with Young People aged 11 – 25 years in recreational and educational programmes in a group setting. 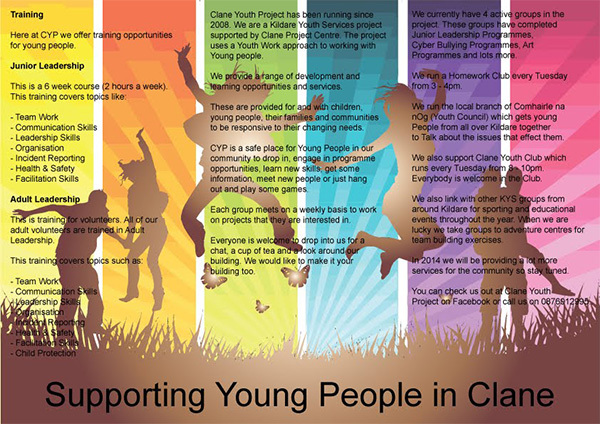 Through appropriate youth work modes, the project offers young people the opportunity to engage in youth group work, which focuses on various issues that affect young people’s lives. 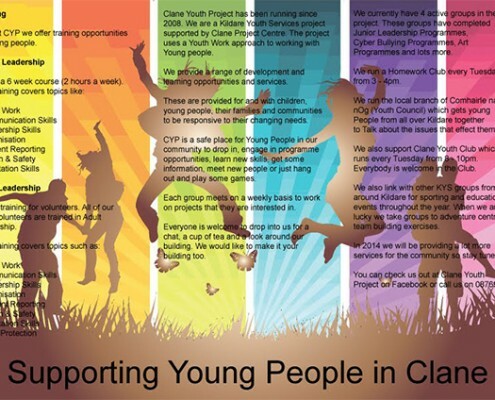 Through activities…..and their families across the county. Now in its Fifth year, our fledgling members now qualified in Youth Leadership and taking their place in society as responsible citizens and leaders of the future. 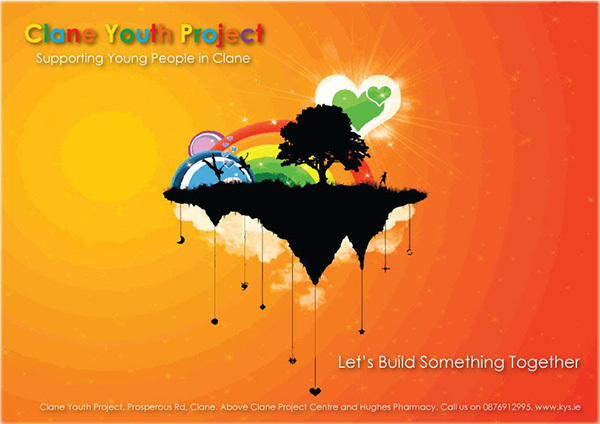 The exceptional selfless commitment of our past Youth Leaders, Aiden Farrelly, Mars Blake and Colin Mahony to their task has resulted in a new dimension for the future of Clane. We are engaging in an Impact Measurement exercise where the effects of the Youth Project will be measure and compare to standards in Europe. We thank Dominic Fagan, a local businessman, who despite the economic hard times that prevail, donated the premises for the Youth Project Free of Charge for three years before moving to the present location. 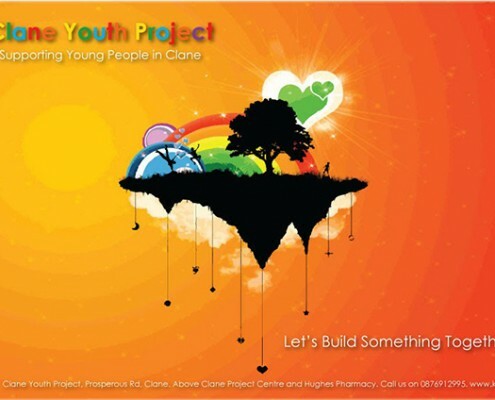 This gesture cannot be forgotten and future generations of Clane citizens will benefit from this kindness.